Freund-Vector Hi-Coater fully perforated tablet coating systems are used for the application of aqueous, solvent and sugar film coating for tablets and pellets. 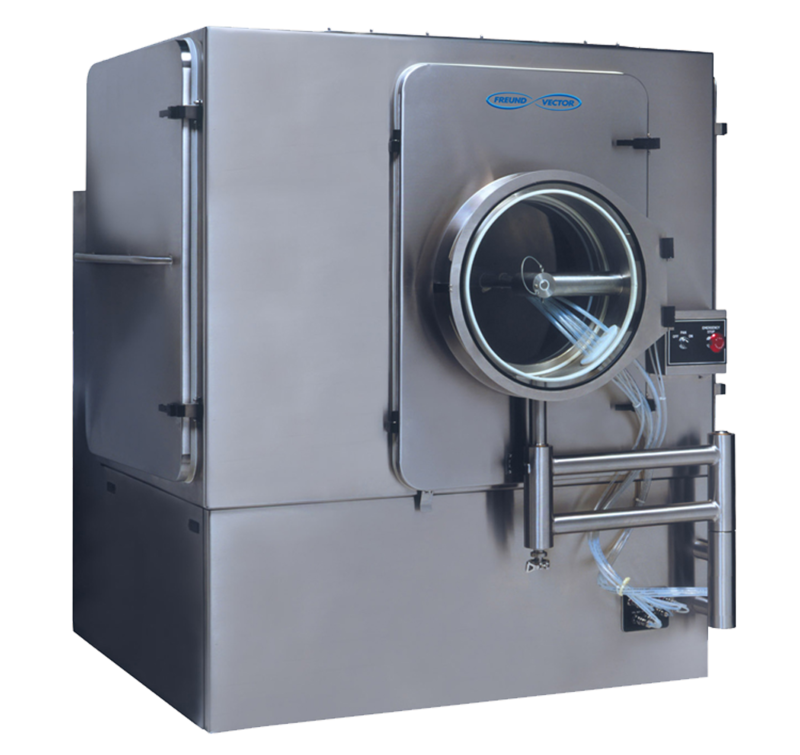 Pan volumes range from a 0.5L laboratory unit up to 1500L production units. Reduced batch sizes down to 25%-50% of the rated capacities can be processed. The VHC Hi-Coating System. Airflow enters the coating pan above the product and is drawn through the exhaust in the direction of the spray guns. 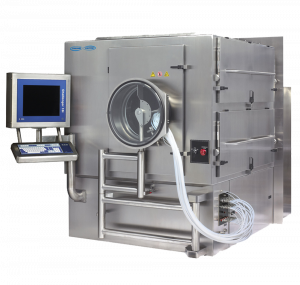 The VHC Fully Perforated Hi-Coater has a fully welded pan cabinet, eliminating seals and gaskets that are impossible to clean. During the cleaning operation, the lower cabinet is filled with water, allowing the bottom of the coating pan to soak and rotate in cleaning solution. 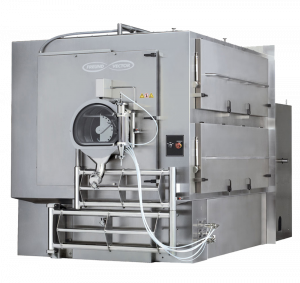 VHC-48L Coating System Designed for a fully automated WIP process. A Compu control system provides 21 CFR Part 11 automation and reporting functionality. 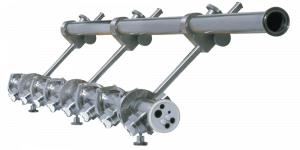 The most effective method to increase spray rates for a tablet coatign process is to increase the number of spray guns within the coating pan. An increased spray zone is accomplished by lengthening the coating pan while maintaining the same diameter. The “stretched” design can incorporate as many as ten spray guns (each spray gun capable of 300 mL/min/gun). VHC Stretched Design. Increases spray zone at reduced bed depths. Additionally, the “stretched” design also minimizes tablet attrition by reducing the tablet bed depth when compared to similar batch sizes in larger diameter pans. VHC-66L1 Hi-Coater. Capacity up to 1040kg with 10 manifold spray guns. All tubes required to operate the spray guns are encased within the spray bar. A single gasket and clamp design allows for very quick change-over and cleaning. There are no flexible tubes or fittings inside the pan area. All connections are made at the end of the spray bar. Manifold spray bar with 6 AT Spray guns. Exploded view of manifold spray bar showing the “single gasket” design.